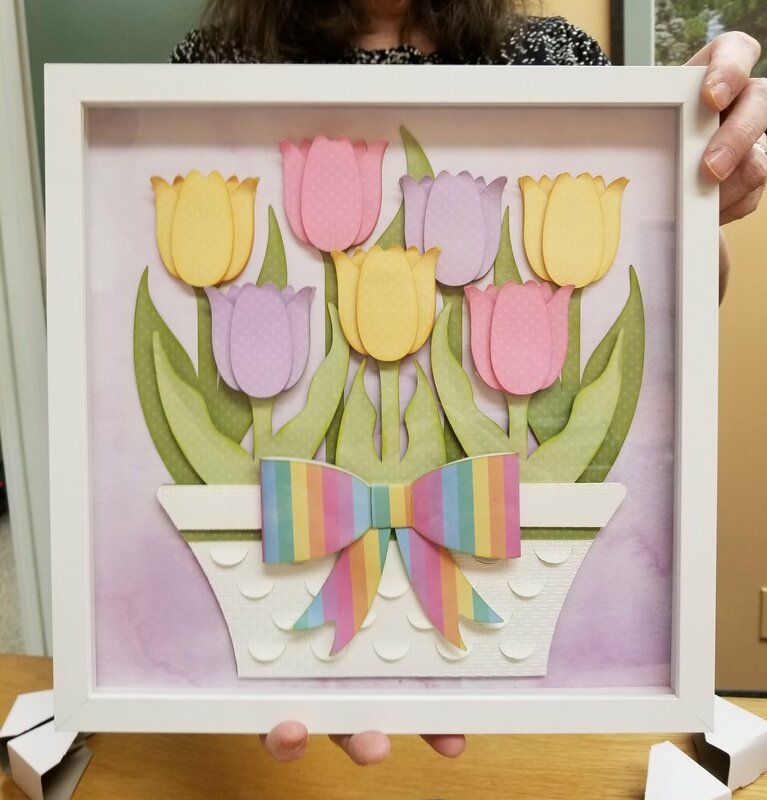 You will learn to make paper sculptures and receive tips on using shading with ink, and how to use glue dots and adhesive with your Scan-N-Cut. What a great project! Click for class sign-up.